Tata is ready to roll out the first major upgraded version for its budget car 2013 Tata Nano. This new launch is scheduled in near future however there is no official confirmation though. There is a little buzz for the launch and perhaps that will get stronger once the event date is decided. The largest car manufacturer of the country has been working towards a cleaner alternative to petrol and diesel for promoting a pollution free unconventional fuel and they have finally took it to CNG. The new one will be seen running on CNG. The Tata Nano price is expected to be a bit higher and it can be said with much surety. So, as it depends on the cost of the raw materials at the time, the expected price of the variant is INR. 1.9 Lakh to be precise. 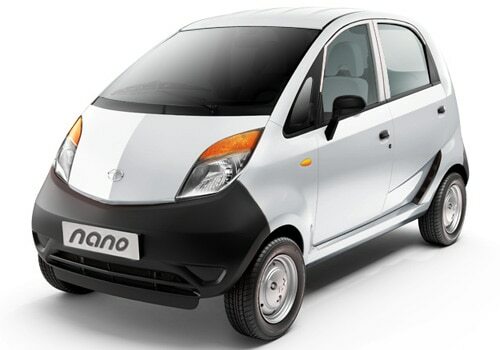 With this edition of the World’s cheapest car i.e Tata Nano, the indigenous automobile maker will expand its kitty of CNG powered premium cars. Indigo and Indica V2 are among other Tata cars currently offering this mode of fuel operated engines. The eMax technology developed by the engineers at the company's research and development lab has been a tested companion which has proved its mettle in Indigo and Indica. The car has been on test as of now and it has been spotted many a times around the place, the site of manufacturing unit. However, this engine which they have to fit in the eMax has a dual fuel system which will run on either on petrol or CNG. Tata Nano features are about to get radical change, the first thing which catches attention is the new graphical pattern donning the lower side of the doors. The dashboard however does not look any different than the current model except the green coloured outline in speedometer. The interiors to be remain the same. So one should wonder what is new in this new variant, well it's the cleaner fuel technology, an engine which is capable of transporting one to places at just INR 1.11 per km, this data signifies the better fuel efficiency of 36 km/kg of gas in the tank. The switch provided along the console can turn the CNG inlet ON and OFF and in the meanwhile petrol will take charge. With a lower CO2 emission about 75 g/km, this eMax is bound to be the greenest eco-friendly car in the country and it's not even running on electric power. Tata Nano pictures depicts the cool style quotient it carries and the cute small frame makes it a worthy space saver. This hatchback not only saves the money but also saves the space and it saves the fuel as well as the environment. Recently we have also published a blog on Tata Sumo Gold.